We had another great meeting on Monday night. Mostly familiar faces and 5 new faces. It is great to see both. Sarah and I are getting a lot of e-mails and phone calls behind the scenes and the Parrot Society of NW Ohio is turning into a major educational resource center. This was our goal in doing all we could to help better the livelihood of parrots and people living together. We’ve been getting phone calls and e-mails from people interested in attending, people interested in us representing our society at functions and events, veterinarians, vet techs, pet stores, and today we received a call from a man looking to set up a great future home for his bird should something happen to him. This would be a great topic to discuss in future meetings. Sarah and I have discussed future and upcoming guest speakers. This will be great to have information coming in from different areas of the United States and different topics of interest. Anyway, our point is that we are becoming noticed in NW Ohio as an information source and one to reach out to. That is Sarah and I, and more importantly all of the members. The dedication of returning members has been gratifying to say the least. We are complimented and hope the information we all share and learn is benefiting your household. This past Monday night was our 6th meeting. This Saturday is our first field excursion. We are heading to Hartman Aviary. http://www.hartmanaviary.com/ This is why we had our last meeting on flight. Flighted or not, there will be information to hear, learn from, and take into consideration what is right for your household. If you would like to attend, the cars are almost full. Please contact Sarah and I asap at parrotsocietyofnwohio@gmail.com. Are you interested in birds of prey? Are you interested in hearing the details and facts in how they depend and thrive in the wild and what you can do to help? We have a tentative date of October 9th, 2010 scheduled with Nature’s Nursery in Whitehouse, Ohio. http://www.natures-nursery.org/ The Parrot Society of NW Ohio will be hosting a benefit. We ask for a $25 donation per person and wait until you hear what it includes. Rain or shine, we will be having a cook out on that Saturday afternoon. Your food and pop is included. It will also include a full tour of the facility and their animals. 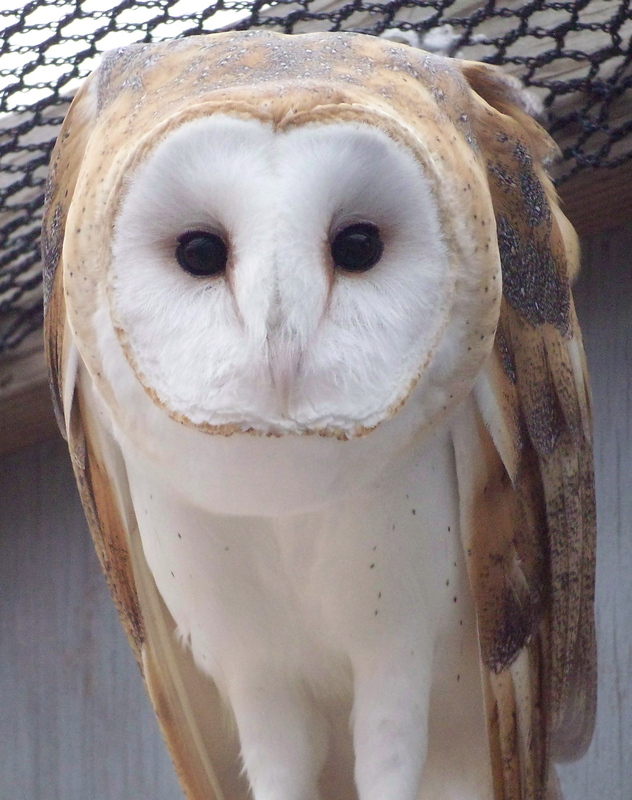 We will then receive a detailed and up close encounter of the Ambassador Birds of Prey. The birds of prey will be on the glove of the educators and walked right by your table. You will have the opportunity to have face to face encounters with Red Tailed Hawks, a Turkey Vulture, a Peregrine Falcon, owls, and potentially more depending on the decision and training of each bird at that time. You will also hear the director of training and enrichment of the Ambassador Bird of Prey Division stand up and talk about the details in training of each bird. 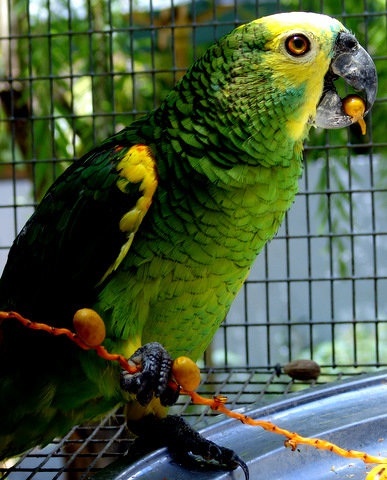 All birds are trained with positive reinforcement training with emphasis on Applied Behavior Analysis. See how these same techniques apply to the parrots within your household. The director of training and enrichment would know, she has four parrots of her own. 😉 Hint Hint. That’s not it. There will be raffle tickets sold. There will be a drawing for 3 prizes. Two prizes will be to win a day with a trainer. You will get the behind the scenes tour, one on one information on training techniques, and the ability to see how they are applied to each bird. These training techniques you can take home and use with your parrot, your dog, or your spouse! There will be a drawing for a grand prize winner. The grand prize winner will receive a behind the scenes tour of the training of the birds of prey plus a photo taken with you and the Nature’s Nursery mascot, Icarus the Great Horned Owl on your gloved hand. If you are interested in attending the event, e-mail us at parrotsocietyofnwohio@gmail.com. Space is limited and we are expecting it to fill up very fast. 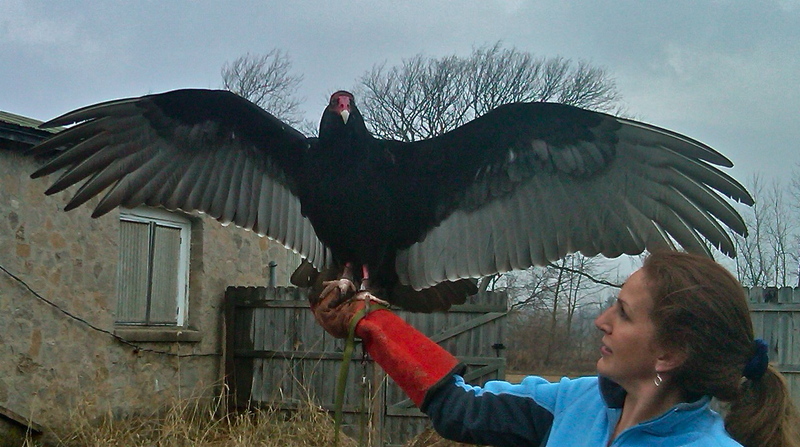 Willoughby the Turkey Vulture in training with positive reinforcement for her first photo shoot held this past February to the public.